When you are in UAE, sensible car insurance plan gives you relaxation. Car Insurance in UAE is not just a legal requirement but it makes your travelling safe as well. 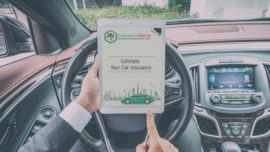 Most of the people don’t know the technicalities of car insurance but it is necessary to know all these factors around Car Insurance in UAE to get the best car Insurance policy for you. Insurance Top Up has a complete Online Customer Portal that gives you a complete access to your insurance quote, facilitating you in purchasing your insurance policy. Our comparison system lets you make your options simpler by matching the best UAE Car Insurance companies according to your needs, enabling you to compare the most relevant products online and best Insurance Quotes based on your preferences. Third party Liability insurance doesn’t cover your car in all UAE. The basic thing of insurance is to safe the vehicle you drive on the road. In UAE most of people go for Third Party Liability Insurance, due to its affordability but it covers not your car in any bad situation, so you can get help by our online quote system to get important information about the policy you need. We give you the right information in selection of the policy suits you the best on your contact with us. Cheap buyer gets bad meat all the time. 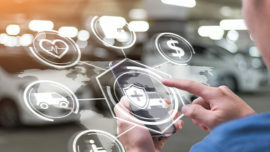 Our digital insurance Platform Insurance TopUp gives you the chance to get comparison with different types of car insurance In Dubai, Abu Dhabi and rest of the UAE. Clients want to get the cheapest insurance policy but Insurance is a long term commitment, so don’t go for cheaper one all the time, spend a little bit extra and enjoy the full cover of insurance. Your driving record and your age is valuable for the insurance company. Roads of UAE are always packed with vehicles. Your driving record and your age is very important for us before we offer the best insurance plan to you. You can get useful information in this regard from our web portal before getting car insurance from us. Your age group also affects the initial insurance price. In UAE younger age group insurance means heavy to pay to get any insurance policy. In all online insurance Quotes of UAE, you will find this chapter in detail. We summarize all these individual information under one heading at Insurance TopUp web portal. Choose the best insurance plan that covers some important factors of your safety. Insurance TopUp offers you a guide map from where you can select the best car insurance plan during your stay in UAE. Through our web portal you can check different quotes with different suitable covers suits you the best, online. The best car Insurance Plan in UAE should cover driver and passenger in an accident; it should cover the loss of vehicle while you are off road; it should offer road side assistance; fire and theft coverage; replacement of locks in case of loss of keys; you insurance plan should cover dent repair and windscreen damages. In UAE, Insurance companies care the price slab of your vehicle and that is very important for the client and the company as well. Price of your vehicle has its own effect on the policy. In UAE car insurance companies offer online quotes in this regard where client get information about the best feasible policy according to its vehicle price. Our web portal covers all vehicle categories used in UAE and you can get any information about Car Insurance quotes online regarding your vehicle.